It’s hard to believe 2017 is coming to a close, yet I have never felt more positive about the progress we’ve made for dolphins as I do now. 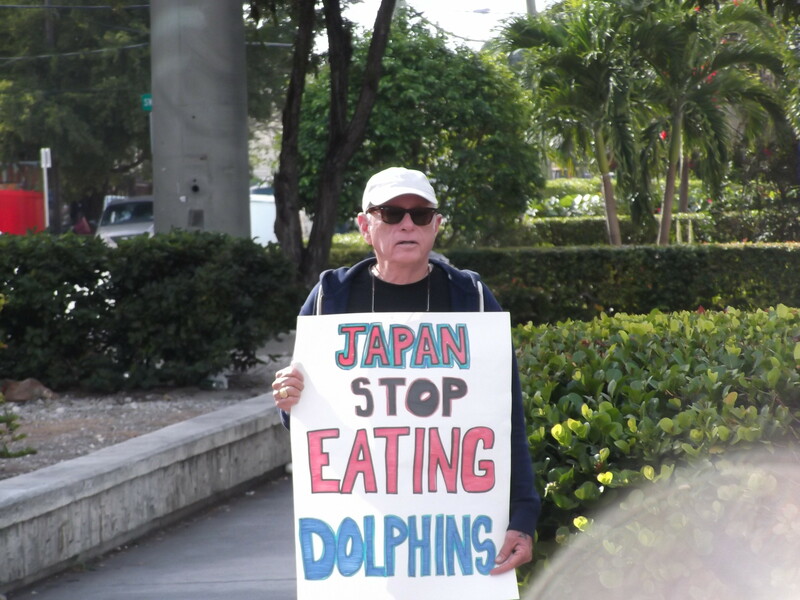 We’ve gained tremendous momentum worldwide as people across the globe are realizing that dolphins do not belong in captivity, nor should they be hunted, abused or slaughtered. The three most difficult places on Earth to work on behalf of dolphins are Japan, Indonesia and the Solomon Islands – in fact, we are the only organization on the ground in those places and will remain there as long as dolphins are in need. • Dolphin Project has long advocated dolphin sanctuaries to retire captive dolphins, and we are continuing to move forward with plans for Europe’s first dolphin sanctuary project. This year I had the opportunity to scout various locations in Italy and Greece as we continue efforts to make this project a reality. • Lincoln O’Barry and Dr. Sarah Meltzoff returned to Fanalei in the Solomon Islands to continue our work in helping dolphin-hunting communities transition away from their conventional hunts. Home to the largest drive slaughter of dolphins in the world, annual kills have dropped from a yearly average of 850 to 110 in 2016. We are currently building a permanent field base in Fanalei, which will allow us to continue working with the community to develop sustainable economic alternatives to dolphin-hunting and strengthen marine protection in the area. • In Indonesia, we are continuing our efforts to end dolphin abuse, including putting an end to the traveling dolphin circuses, dolphin-swim programs and renovating Camp Lumba Lumba, the world’s first permanent rehabilitation facility for captive dolphins. Dolphin Project established an education center in Flores, where islanders and tourists alike can learn about the importance of protecting marine life. It is the first center of its kind in Flores, an area known for marine mammal and sea turtle poaching. • Dolphin Project returned to The Cove in Taiji, Japan, for its 15th season, where our team is on the ground for the entire six-month hunting season. Using live-streaming technology and – new this year – 360-degree “immersive” video to document the dolphin drive hunts, we remain committed to sharing this information with the world. The season launched on Japan Dolphins Day, an international day of action and awareness that we have coordinated since 2005. Earlier this year, Dolphin Project Celebrity Ambassador and Game of Thrones star Maisie Williams traveled to Taiji in support of our campaign. We’ve come a long way since 1970 when I made it my life’s mission to protect dolphins worldwide from exploitation and slaughter. Now, 47 years later, all of us at Dolphin Project are as committed as ever to making real and positive change for dolphins, but we need you on our team. We are entirely funded by you. Each time you donate to Dolphin Project, know that you are aiding the longest-running anti-captivity dolphin welfare organization in the world. Thank you for your support and for being on the right side of history. One of the best efforts happening on Earth today. If you can please help them by spreading the word and donating.